Dr. Jorge García Vidal is a Telecommunications Engineer. Since 2003, he is full professor at the Computer Architecture Department of the Technical University of Catalonia, where he is head of the Computer Networking Research Group. He is also responsible for the Smartcities activities of the Barcelona Supercomputing Center. He was a visiting scientist at the University of Arizona and at the University of California at Berkeley. Current research interests are on statistical techniques for data capture and data analysis for applications such as air quality monitoring, mobility patterns and text analysis. 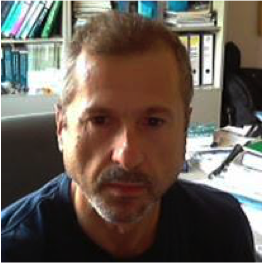 Currently, he is the coordinator of the project “CAPTOR-Collective awareness platform for tropospheric ozone pollution”, and participates in the H2020 projects ASGARD and GROWSMARTER.